STUNNING BRICK FRONT DREAM HOME w/over 3700 sf, 5 beds, 5 baths plus fin. base located on cul-de-sac. Largest model in Fisher Farms Exec Series. Soaring foyer welcomes you to your new home w/hardwd floors, extensive trim, 10 ft ceilings & upgraded lighting thruout. Formal liv/din rms. Chef&apos;s kitchen includes 42" maple cabinet, SS appl, granite counters, tiled back splash, massive island w/prep sink & breakfast rm opening to a DRAMATIC 2 STORY family rm w/wall of windows & slate fireplace. Generous main fl office, bedrm & adjacent bathrm (In-Law?). Grand curved staircase leads to 2nd fl hardwd cat-walk w/spacious vaulted bedrms, Bed 2 w/access to bath, Bed 3 en-suite. MASTER RETREAT w/lg walk-in-closet & spa-like bath.Host a crowd in the FAB FIN BSMT w/MEDIA RM w/stage, granite wet bar w/mini fridge, exercise & play rms, full bath w/whirlpool tub. Extensive landscaping w/lighting, br paver patio, hardscapes & gazebo. 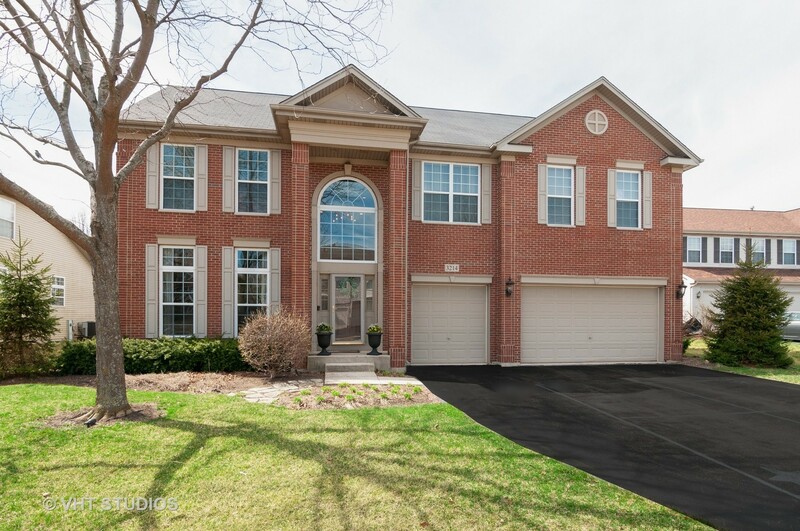 Minutes to elem school, park, pond, shopping, Metra & Historic Geneva!